Finally, we are learning that simplicity equals sanity. We're rebelling against technology that's too complicated, DVD players with too many menus, and software accompanied by 75-megabyte "read me" manuals. 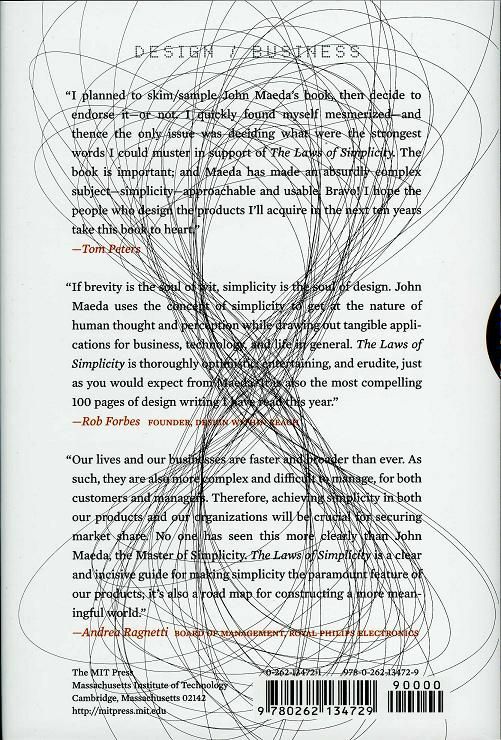 The iPod's clean gadgetry has made simplicity hip. 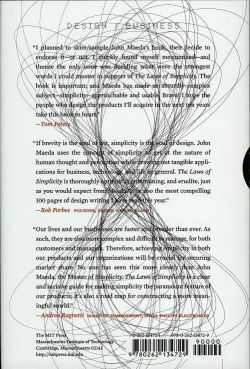 But sometimes we find ourselves caught up in the simplicity paradox: we want something that's simple and easy to use, but also does all the complex things we might ever want it to do. 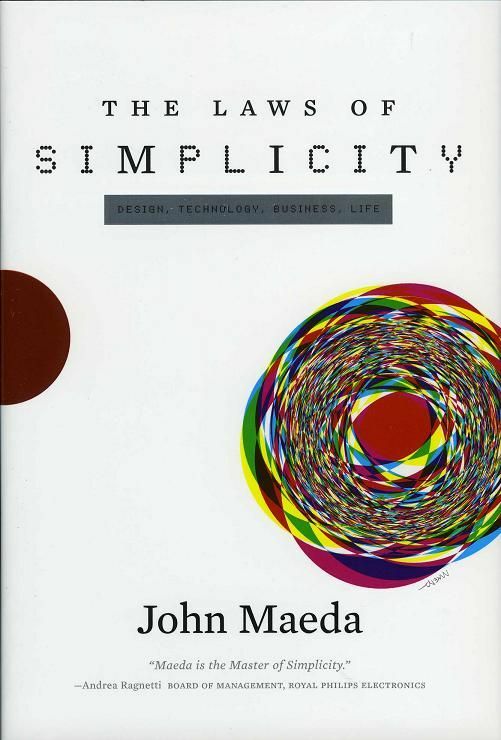 In The Laws of Simplicity, John Maeda offers ten laws for balancing simplicity and complexity in business, technology, and design—guidelines for needing less and actually getting more.